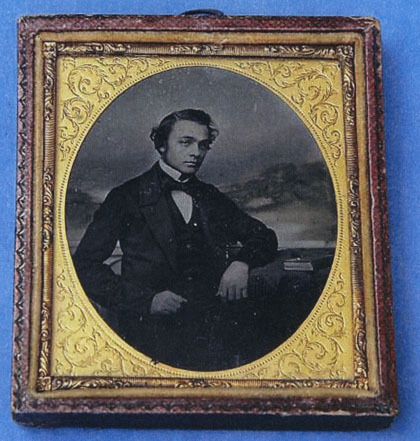 John Atkins Jones was born in Bath, Somerset around 1814 and settled in Brighton around 1838, the year of his marriage to his first wife, Louisa Payne. John Atkins Jones married for a second time around 1845. His new bride was Catherine Clasby (c1824-1895), a dressmaker and mantle maker, the daughter of Charles Clasby and Mary Ann Young of Shoreham. John Atkins Jones worked in a number of different trades during the early years of his marriage. In 1838, John Atkins Jones was a haberdasher and hosier. At the time of Hugh's birth, Jones was working as an "embroiderer and pattern designer". When the census was taken in Brighton in 1851, John Atkins Jones was recorded at 58 Cavendish Street, with his wife Kate (Catherine), his mother-in-law Mary Clasby (also a dressmaker), his four year old son, Hugh Clasby Jones and his daughter Emily Clasby Jones, aged two. [ Emily's birth was registered in Brighton in the June Quarter of 1849 ]. At the time of the 1851 census, John Atkins Jones described himself as a "Painter". John Atkins Jones made the claim that he had been in business at 36 High Street, Brighton since 1853 or 1854. The advertisements Jones printed on the back of his early carte-de-visite portraits carry the words "ESTABLISHED 1853" or "ESTABLISHED 1854". These dates in the early 1850s could refer to the year that J. A. Jones moved from his home in Cavendish Street to 36 High Street and does not necessarily prove that he had a photographic studio at this early date. The name of John Atkins Jones does not appear in the list of Daguerreotype Artists in W. J. Taylor's Original Directory of Brighton published in 1854. J. 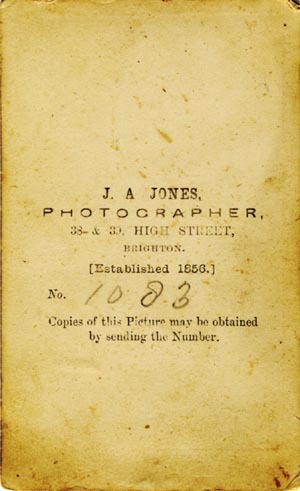 A. Jones is not listed as a photographic artist in the Brighton trade directories which appeared between 1854 and 1858. In Folthorp's Directory of 1856, J. A. Jones is described as a carpenter, but it is possible that he was taking "collodion positive" (ambrotype) portraits on glass at his shop in the High Street as a sideline to his usual business. ( See the picture of the cased, "collodion positive" portrait by J. A. Jones of 36 High Street, Brighton, dating from around 1856, illustrated below ). In the 1856 trade directory, J. 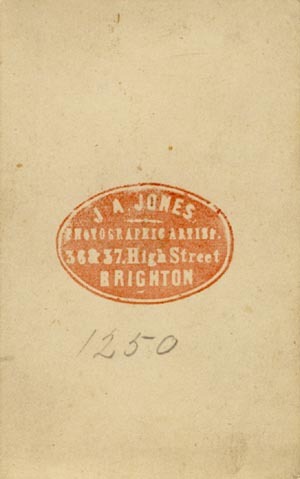 A. Jones is listed as a carpenter at 36 High Street, Brighton, but within two years his name appears alongside this address under the heading of 'Photographic Artists' in Sussex trade directories. 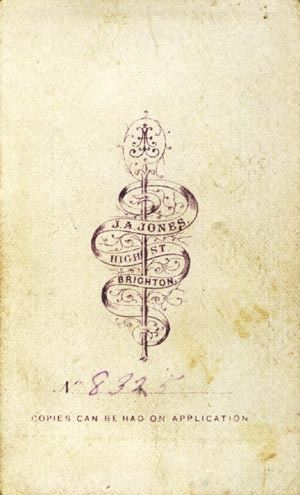 The publicity on Jones's later cartes carry the words "ESTABLISHED 1856" and this is the likely date that John Atkins Jones set up the photographic portrait studio in Brighton's High Street. However, there is clear evidence that John Atkins Jones was working full-time as a professional photographer by 1858. In Melville & Co.'s Directory of Sussex of 1858, his trade entry reads " Jones, John Atkins, Photographic Artist, 36 High Street". 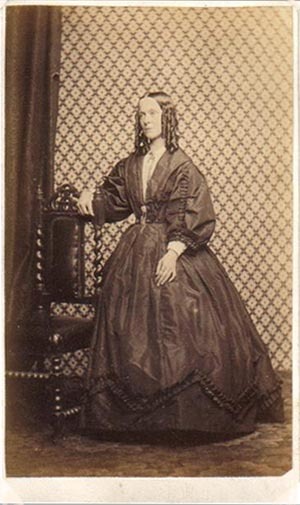 John Atkins Jones worked as a photographer at 36 High Street, Brighton until about 1871. From the mid 1860s, John Atkins Jones was probably assisted by his son Hugh Clasby Jones. In 1872, the studio address of J. 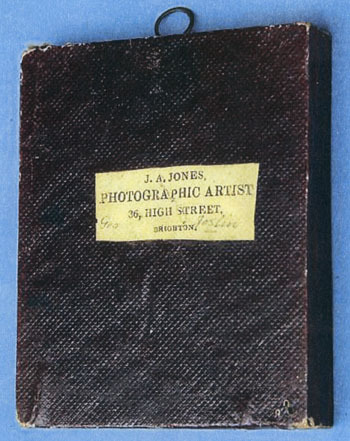 A. Jones is given as 38 High Street and he is still recorded as a photographer at 38 High Street, Brighton in Page's Directory of 1888. John Atkins Jones was in business as a photographer in Brighton's High Street for over thirty years until he retired in 1888. John Atkins Jones died in Brighton during the First Quarter of 1894 when he was in his early eighties. [ABOVE ] The reverse of a carte-de-visite portrait (see the photo on the right) by John Atkins Jones of High Street, Brighton. Negative No. 8325. 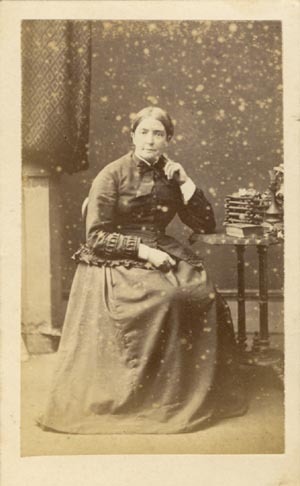 [ABOVE] A carte-de-visite portrait of a seated woman by John Atkins Jones of High Street, Brighton. (c1870). Negative No. 8325. 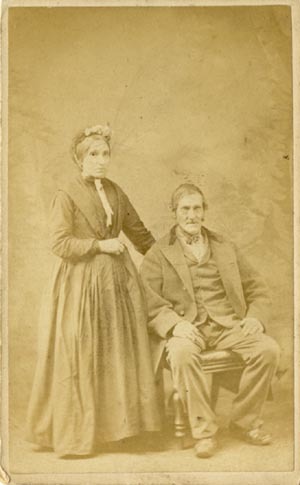 [ABOVE] A carte-de-visite portrait of a couple by John Atkins Jones of 36 & 37 High Street, Brighton. (c1870). Negative No. 1250. [ABOVE ] The reverse of a carte-de-visite portrait (see the photo of the couple on the left) by J. A. Jones of 36 & 37 High Street, Brighton. Negative No. 1250. 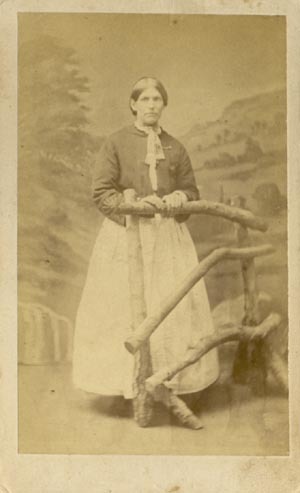 [ABOVE] A carte-de-visite portrait of a woman standing by a rustic fence by John Atkins Jones of High Street, Brighton (c1872). Negative No.1083. [ABOVE ] The reverse of a carte-de-visite portrait (see the photo of the woman on the left) by J. A. Jones of 38 & 39 High Street, Brighton (Established 1856). Negative No. 1083. 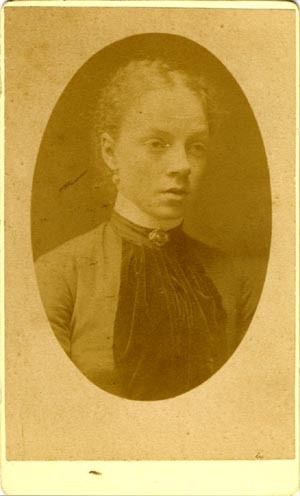 [ABOVE] A carte-de-visite portrait of a woman by John Atkins Jones of 38 & 39 High Street, Brighton (c1888). Negative No.7397. 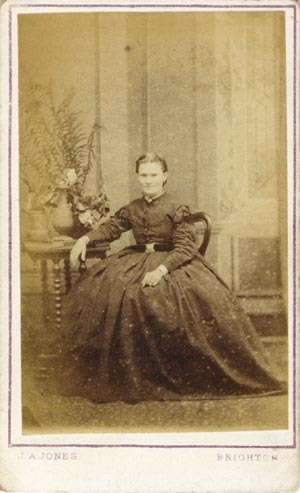 [ABOVE] A carte-de-visite portrait of a seated woman by John Atkins Jones of 38 & 39 High Street, Brighton. (c1874). Negative No. 2452.